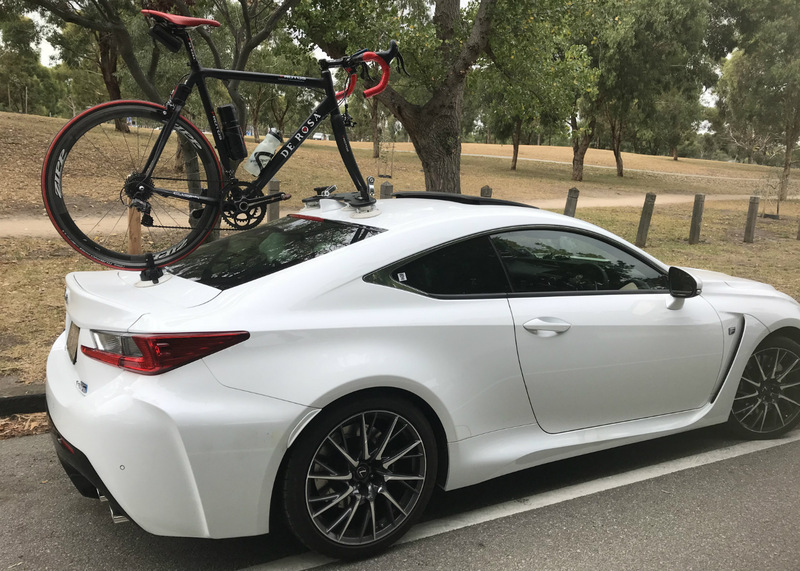 In 2015, our customer Paul was in the market for a Lexus RC F Bike Rack – 3 years later we caught up with Paul when he paid us to visit to service his bike rack. Paul arrived with his SeaSucker Mini Bomber so we could give it a service. 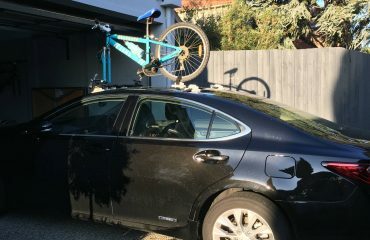 Paul’s bike rack is significantly different from the current generation of SeaSucker Bike Racks. His bike rack has the white vacuum mounts and the vacuum pumps have indicator bands that were painted on. The vacuum pads where still in great condition and one vacuum pump was showing signs of wear and tear. After a brief chat, we decided to upgrade the vacuum pumps. The latest generation pumps have impregnated indicator bands and improved internals. Since purchasing his SeaSucker Mini Bomber Paul has been using his SeaSucker Mini Bomber on a weekly basis and the bike rack has served him well. 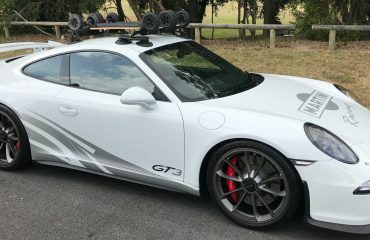 It was a pleasure catching up again Paul, thank you for sending us the photos. Looking for a bike rack for your Lexus RCF?